We’re happy to announce that the new version of Uart (V 2.0) is now available. Among the important functional improvements made, we have chosen to put the collection at the centre of our research. 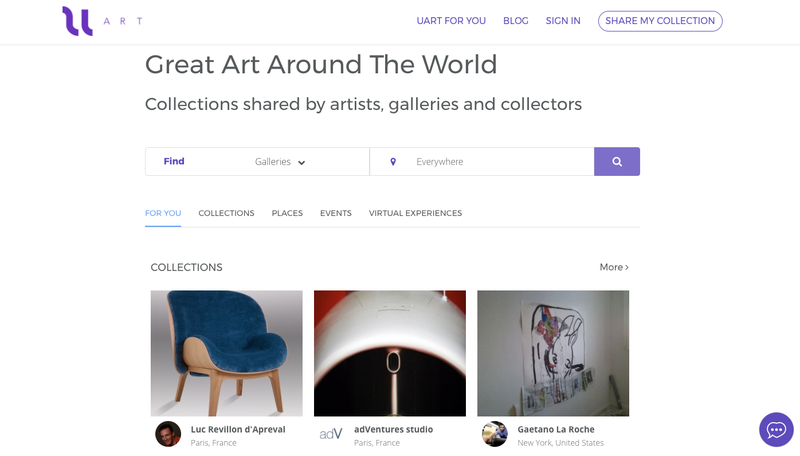 From the home page, the user can not only discover collections shared by sellers and artists, but also by businesses, hotels, universities, clinics and independent artists. For these collectors, sharing a collection and therefore enhancing its visibility is a way of sharing their passion and revealing a part of their DNA. 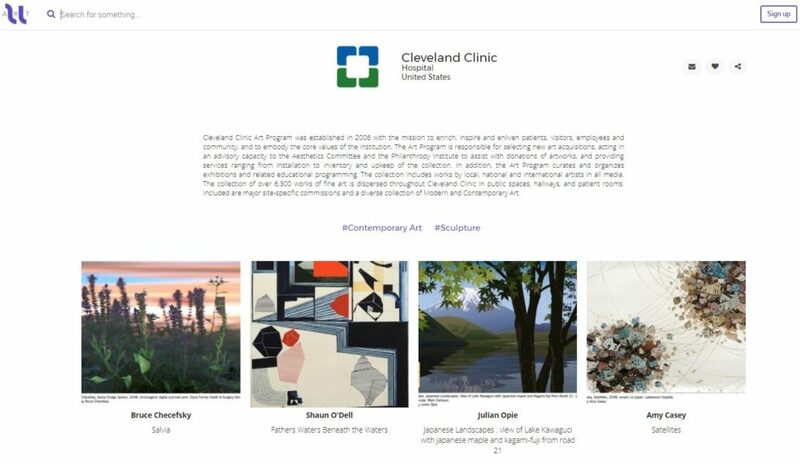 When a company chooses to acquire one piece of art over another, this choice is made in accordance with how well the piece or artist harmonises with the values and the image of the company. A company’s collection is therefore very important and deserves to be widely circulated. There are many art collectors in the world, and it’s estimated that there are nearly 70 million collections. The majority amongst these are owned by companies or foundations, who make them accessible through various means of communication (press communications, blogs, newsletters, social networks, exhibitions). Corporate collections on Uart group together collections owned by universities, schools, hotels, airports, SMEs, etc. (The list is non-exhaustive). 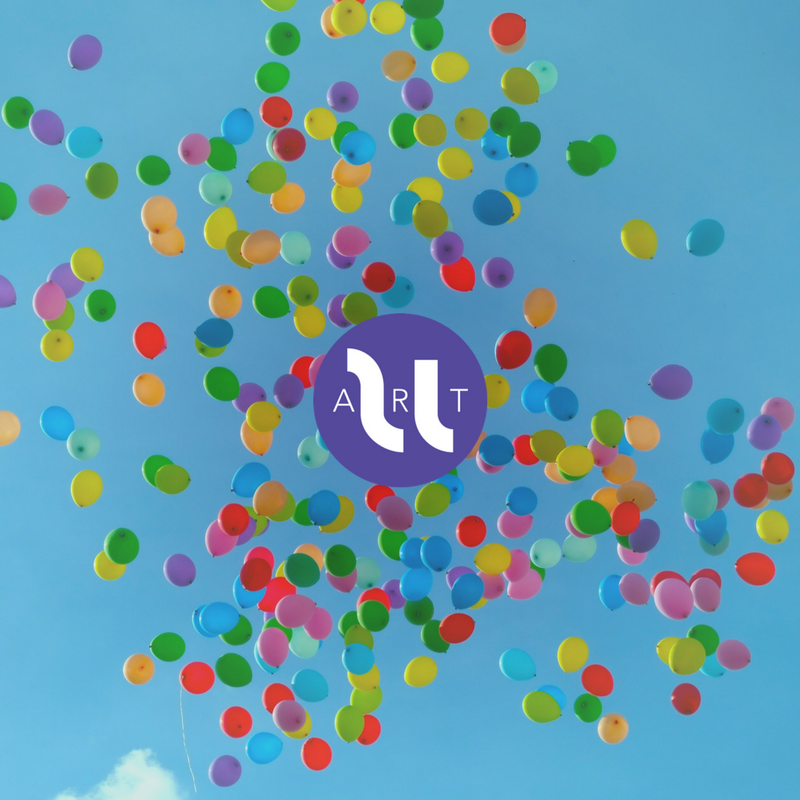 With the aim of giving even more visibility to corporate collectors, we’ve chosen to highlight their collections in our newest version, so that Uart can effectively support and enhance their website and other means of communication. Effectively, unless you are among the top 10 corporate collections, the websites that showcase them are not easily accessible and therefore not very visible. Having a corporate collection is also a way of standing out from the competition. Creating a Uart profile allows a collector to be identified as an active member of the art sector in the eyes of the art community. We’ve paid particular attention to the user interface and the user experience to facilitate the sharing of collections and profiles. For each collection, the collector can write a small presentation on their reasons for joining, their motivations, their choices and the values of their company. This link can be accessed internally from the organisation or externally, by clients, partners, or on social media posts for example. 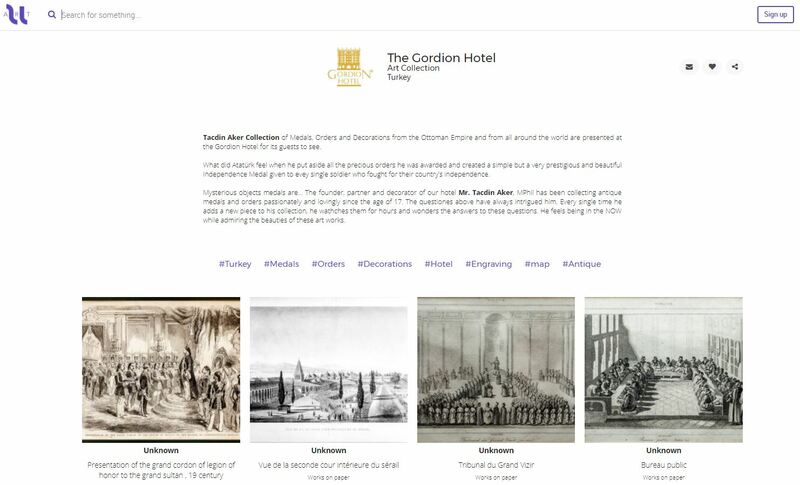 Moreover, we hope that by highlighting collections in hotels, restaurants and airports, we will fuel cultural tourism for those 200 million people around the world who are passionate about art. We find that for an art lover, to discover an artist on holiday or in a place that isn’t an art gallery or arthouse has more of an impact, because the work coincides with certain memories. We only hope that they are pleasant memories. We openly welcome feedback and suggestions on how we can improve our platform. Feel free to email us at contact@uart.com, or share your thoughts with us via our chat feature on Uart.